Heart failure is the most common reason for a hospitalization in patients 65 years or older in the United States. We all probably know someone who has been affected by heart failure. With February being American Heart Month, there is no better time to educate the community on this deadly form of heart disease. If left to its devices, heart failure can be relentless causing recurrent flare-ups and re- hospitalizations. With each flareup or attack of heart failure, patients are vulnerable to an exponential increase in the risk of worsening disease of heart failure. However, with knowledge and determination, it can be effectively treated. Patients and health care providers need to join forces and adopt strategies to effectively manage heart failure to improve quality of life. Heart failure is an inability of the heart to pump blood effectively to the tissues and organs of the body. This in turn interferes with an individual’s ability to pursue normal daily activities. Common causes include plaque laden narrowed blood vessels of the heart, also known as coronary artery disease and high blood pressure (hypertension). Management of heart failure requires prompt diagnosis and appropriate treatment. Medications, lifestyle changes and a network of support can prolong life, reduce symptoms and improve the quality of living. Heart failure management requires careful attention to symptoms associated with water retention, poor circulation and compliance with the medical treatment. Patients with heart failure should weigh themselves every day. That is because the earliest sign of an attack of heart failure is water retention in the body. This is manifested by a gain in body weight of three pounds or greater over two to three days. If this is observed, it should be promptly communicated with health care providers who can then modify the medical therapy to eliminate the excess water in the body. Symptoms that require prompt evaluation by a health care provider include difficulty breathing due to congested lungs, swelling of ankles, legs and the abdomen, coughing, chest pain, palpitations, fatigue and dizziness. Patients may be finding themselves using increasing number of pillows to sleep upright so as to breathe better. Patients should monitor daily fluid (water/coffee/alcohol) consumption and restrict it as recommended by their health care providers. Sodium entraps water molecules in the body. Too much sodium consumption worsens water retention and should be restricted to less than 2,000 mg per day. Most people these days do not use a salt shaker; however, it is the sodium in processed food that should be the focus. Overall, a diet low in saturated fats, processed refined sugar and sodium is recommended. Patients with heart failure who get discharged from the hospital should follow-up with their health care provider within three to five business days. Medications often change after a hospitalization. Patients should keep an updated medication list with them at all times and should question their health care providers regarding their medications including the reason for prescribing it, dosing frequencies and possible side effects. Their doctors should review all medications at each encounter, even herbals and over- the-counter medications. It is also important to monitor blood pressure at home since both high and low values can be encountered in heart failure. Patients should share those recordings with their health care providers. Patients should actively work to quit smoking since smoking causes further heart injury. Regular physical activity prescribed by a health care provider is also beneficial. Using all of these strategies, one can help improve their ability to live with and manage heart failure effectively. 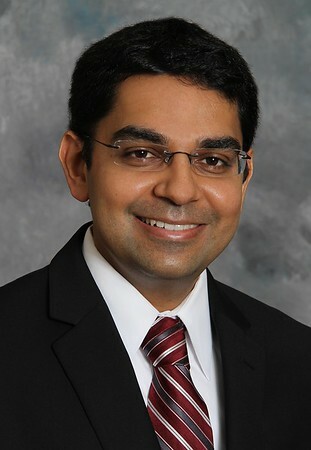 Fawad A. Kazi, MD, is a board-certified cardiologist with the Bristol Hospital Multi-Specialty Group. The cardiology office is located at 22 Pine St in Bristol. For an appointment with a cardiologist in the group, please call 1-833-4BHDOCS. Posted in The Bristol Press, General News on Monday, 11 February 2019 19:39. Updated: Monday, 11 February 2019 19:42.